The Baum School of Art continues a new artist in residence series featuring local artist making a big impact in the community. Programs will be geared towards community involvement in creating a piece where all hands are welcome and encouraged. Mark May is an artist and educator, who lives and teaches outside of Harrisburg, Pennsylvania. 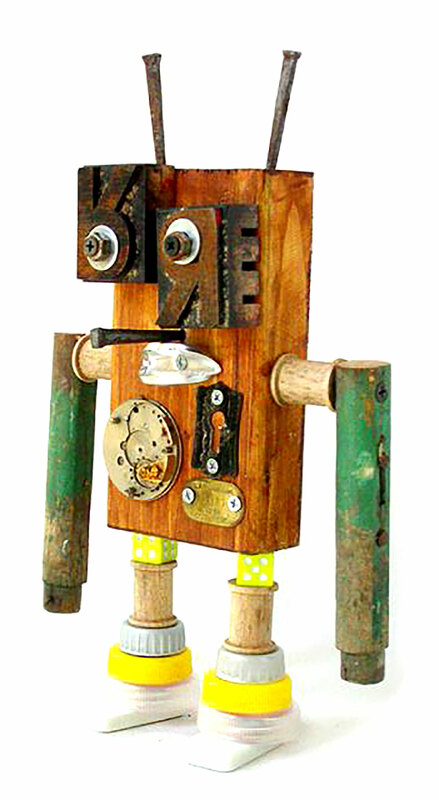 He originally began constructing his robot sculptures as a way of relieving stress and unwinding from his day job. 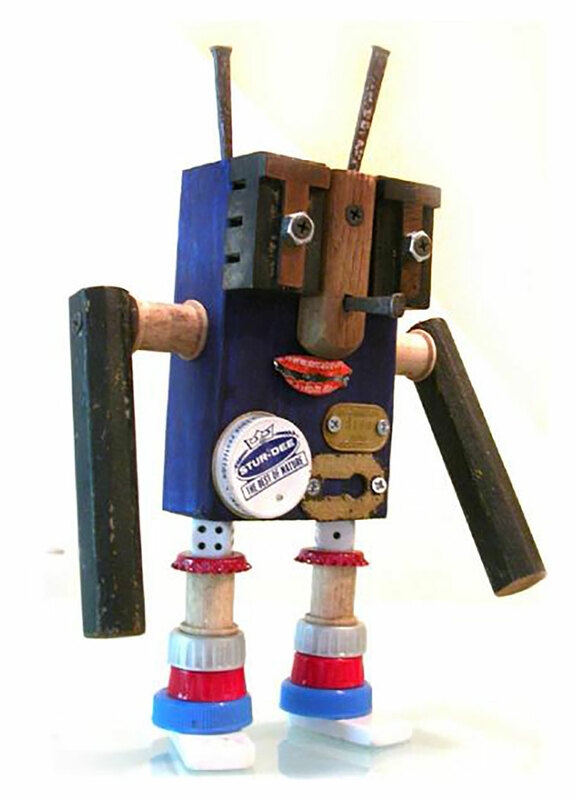 The materials Mark uses are found objects—either salvaged, donated, or purchased from flea markets in his travels. Found objects are not normally considered materials from which art is made, often because they already have a non-art function. Mark tries to leave the objects as he finds them and builds from there. 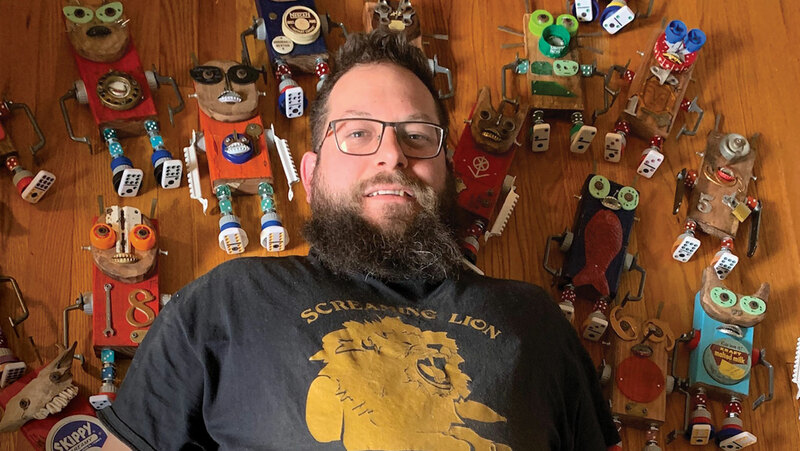 His work is exhibited in galleries, as well as museums, carrying out the idea of helping to educate future generations about the items of the past. 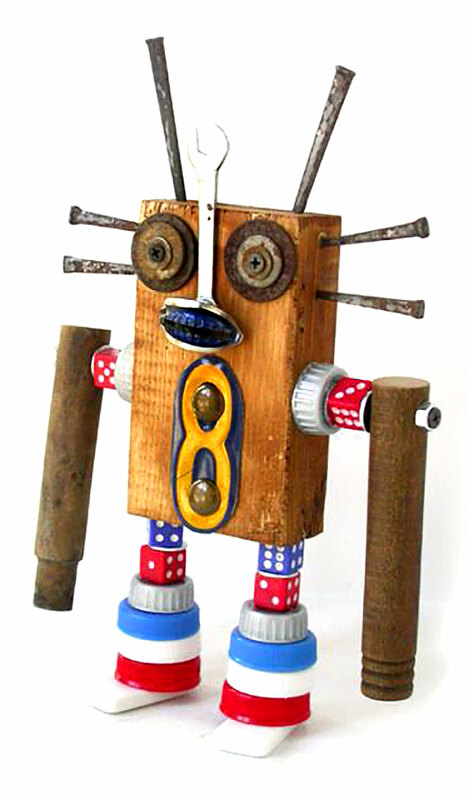 This summer we are excited to host Mark May and his sculptures! His artwork will be on display in our galleries and Mark will be teaching in some of our afternoon art camps during the month of July. Additionally, he will be teaching a one-week camp for ages 12-17, AIR CAMP: Assembly Required, during Week 4: July 15–19. 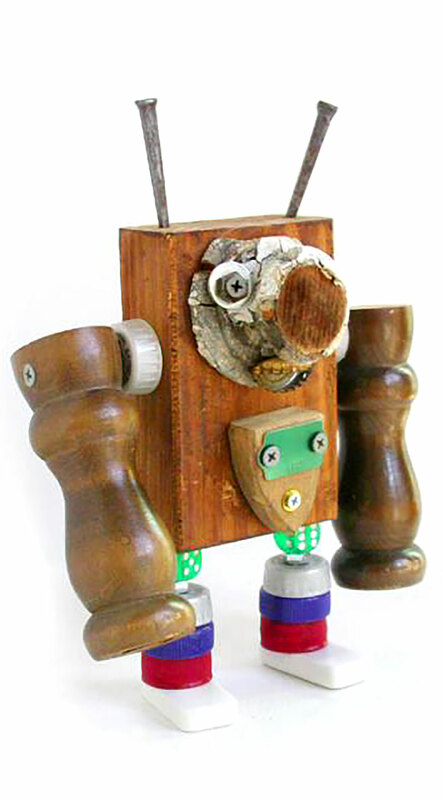 This camp will focus on making a larger scale robot with Mark. Open to the public – No registration needed!